Color by Numbers - Princesses - Princess coloring book with color by numbers and preset colors for download. 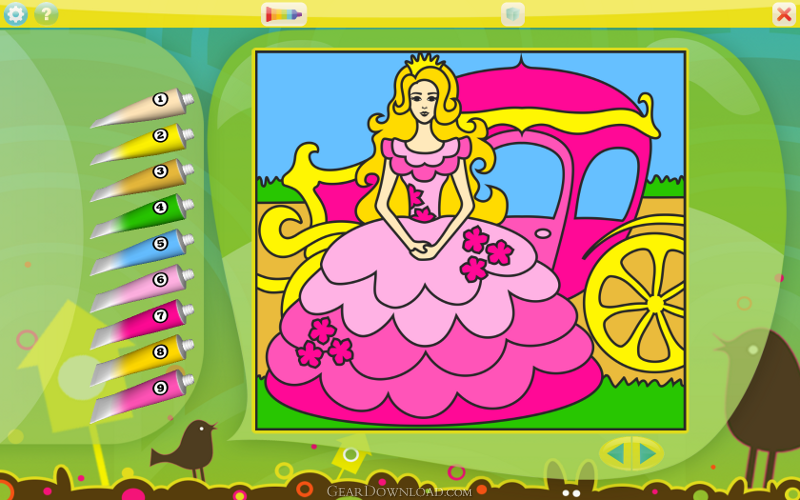 Color by numbers with princesses is a coloring book that little girls will find fascinating. There is a wide variety of princess illustrations and the preset colors allow you to color the royal attire anyway you like it. Color by numbers with princesses can also be used with your favorite colors and is readily available for download for immediate enjoyment. This download (color-by-numbers-princesses.exe) was tested thoroughly and was found 100% clean. Click "Report Spyware" link on the top if you found this software contains any form of malware, including but not limited to: spyware, viruses, trojans and backdoors. Color by Numbers - Vehicles 1.0.1 - Vehicles coloring book for boys with color by numbers for download.